Greenville Full Smile Makeovers - Dr. William W. Brown, Jr.
Are you wishing for a brighter, whiter smile? If you can’t remember the last time you smiled with confidence, it’s time for a full smile makeover at Brown Dental Associates. Dr. Brown will discuss your oral health goals, check your mouth, and recommend treatment options. 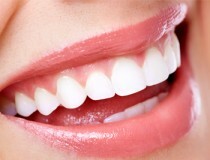 Whatever the problem, your Greenville, SC dentist can restore your teeth to optimal health and improve your appearance. 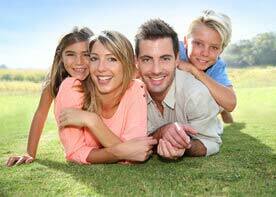 A smile makeover is a custom procedure that involves restorative and cosmetic treatments. Depending on the condition of your mouth, you may only need dental prophylaxis (teeth cleaning) and one cosmetic treatment like teeth whitening or veneers. Other people may need a series of procedures. For example, if you have extensive tooth decay, missing teeth and gum disease, these problems must be treated first before your dentist can make cosmetic improvements. Do You Need a Full Smile Makeover? Even if you feel no pain or discomfort and you haven’t been to the dentist in a long time, see Dr. Brown so he can examine your mouth. A comprehensive exam can reveal hidden damage and other problems. Full smile makeovers usually require more than one office visit. First, you and Dr. Brown will discuss your goals and concerns. Dr. Brown will then check your mouth and take X-rays to come up with the best treatment plan. Treatment can begin when you are ready.